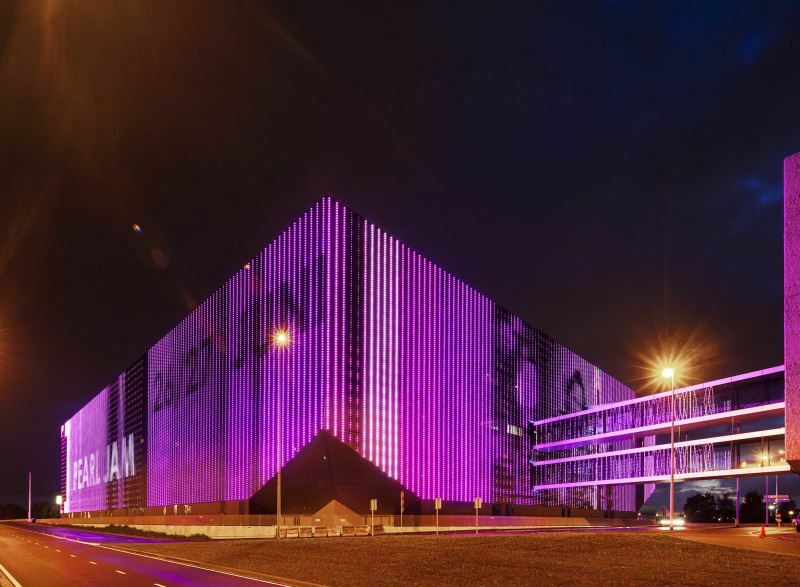 The Ziggo Dome, named after the national media and communications services provider of the same name, draws 700,000 to 1 million visitors every year. 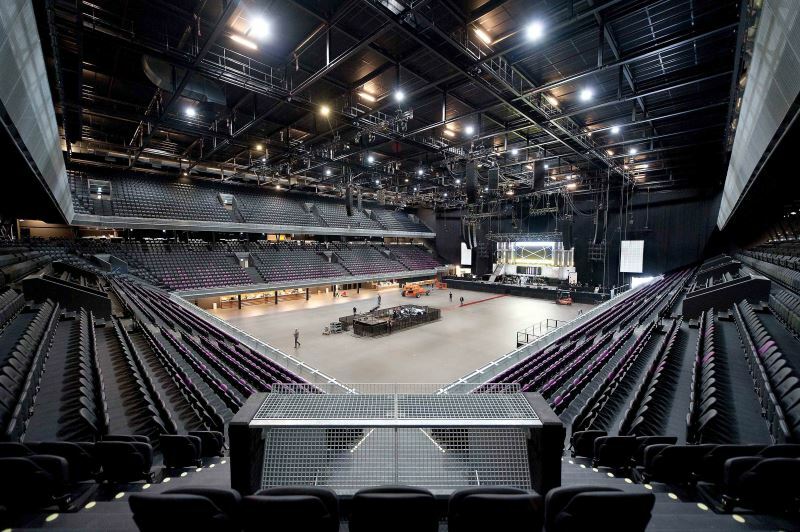 The Ziggo Dome had to exude music in every way and offer the perfect live experience to visitors. During this project, ABT was responsible for construction and geotechnics. Sound insulation is best achieved by using a large mass. However, the roof surface covered no less than 90x90 metres and of course no columns could be used. They would have interfered with the view. This demanded efficient erection of the steel structure. Four main girders were designed to achieve the span required, consisting of steel truss girders of 6x6 metres. This meant the roof was divided up into nine sections. Once these main girders had been put in place, the sections in between could be installed. The fact that there are overhead cranes attached that can lift as many as 100 tons shows that a light steel structure of this kind can absorb large forces. A disadvantage of this material-efficient structure is that it actually has too little mass to keep the sound in. This was solved by integrating additional mass into the roof structure. Aerated concrete floors were installed on the top and bottom of the roof trusses. 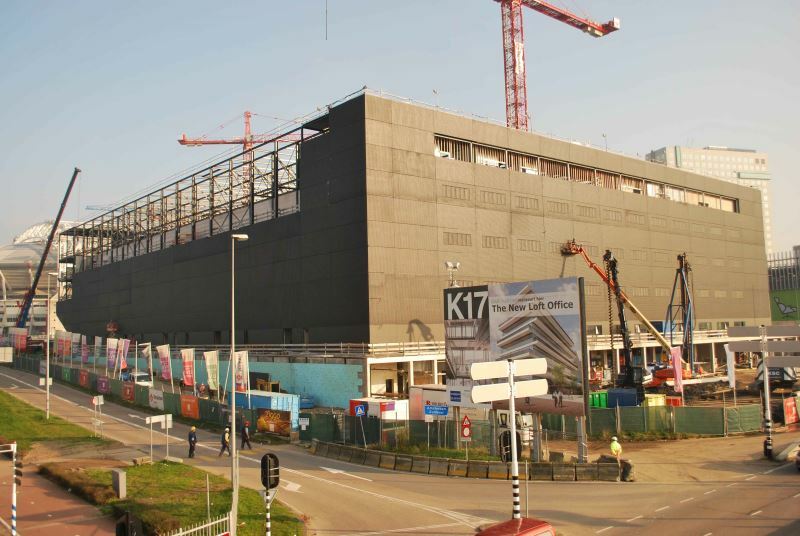 This structure provides adequate sound insulation. Insulation is also added under this roof to reduce the huge hall's echo time. The flooring had to be strong enough to absorb the crowds swaying to the music. Rigidity is particularly important, as movement and vibrations have to be imperceptible. These design limiting conditions can lead to too much material being used in the structure. The art is to meet the requirements with as little material as possible.